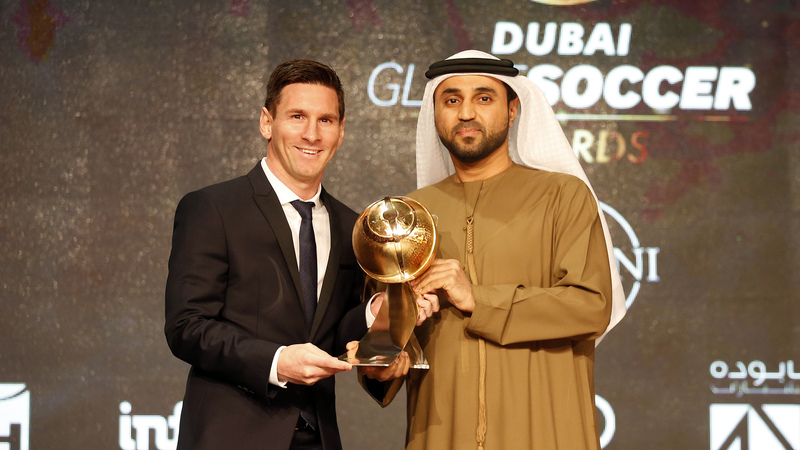 Lionel Messi wins 2015 Globe Soccer Awards – Barcelona’s Lionel Messi’s insanely long list of 2015 amazing accomplishments got a bit longer on Sunday night with the latest coming at the Globe Soccer Awards. 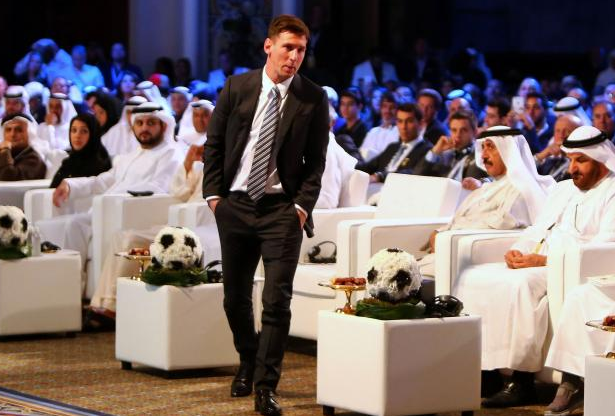 The Barcelona and Argentine star playmaker, Lionel Messi, who is the FIFA Ballon d’Or favourite was honoured at the Globe Soccer Awards in Dubai in winning the Best Player of the Year 2015. Lionel Messi beat out Cristiano Ronaldo, who won in 2014, and legendary Juventus goalkeeper Gianluigi Buffon. “Obviously I am very happy to be here and delighted to win this award but as always, the most important thing is the collective, the team,” Messi said. The rest of the winners were as follows — Best Coach of the Year: Marc Wilmot, Belgian national team coach; Best Referee of the Year: Irmatov; Best School of the Year: Benfica; Best Career Award: Andrea Pirlo and Frank Lampard; Best Agent of the Year: Jorge Mendes; Best GCC Player of the Year: Yasir Al-Shahrani. Lionel Messi beat out Cristiano Ronaldo , who won in 2014, and legendary Juventus goalkeeper Gianluigi Buffon. Where did you get this information?